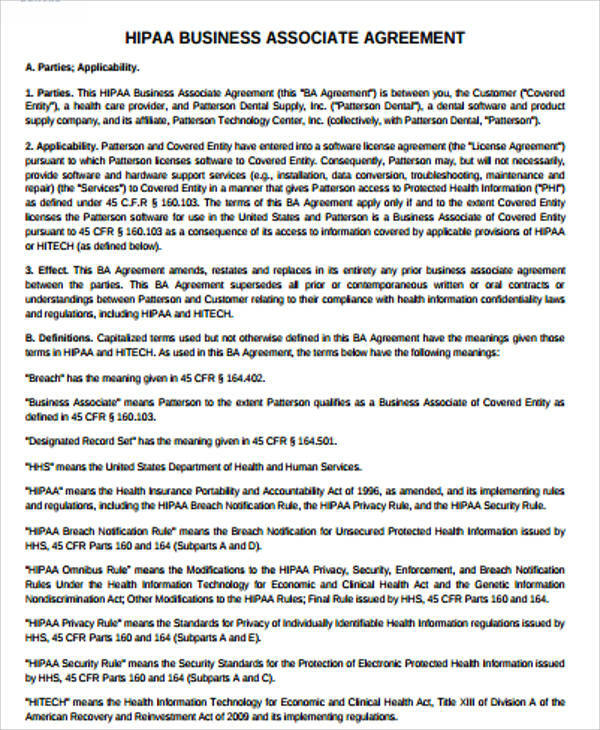 HIPAA is an acronym that stands for Health Insurance Portability and Accountability Act of 1996. It is a law enacted by the United States Congress and signed by former President Bill Clinton. It is also known as the Kennedy-Kassebaum Act. When workers and their families change or lose their jobs, the HIPAA protects their health insurance coverage. They work with a lot of business associates. 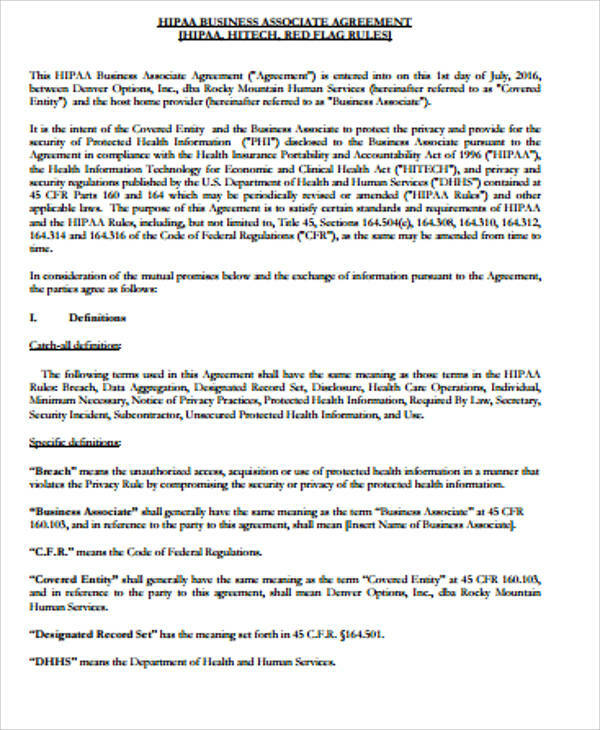 They use an agreement that is called a business associate agreement. 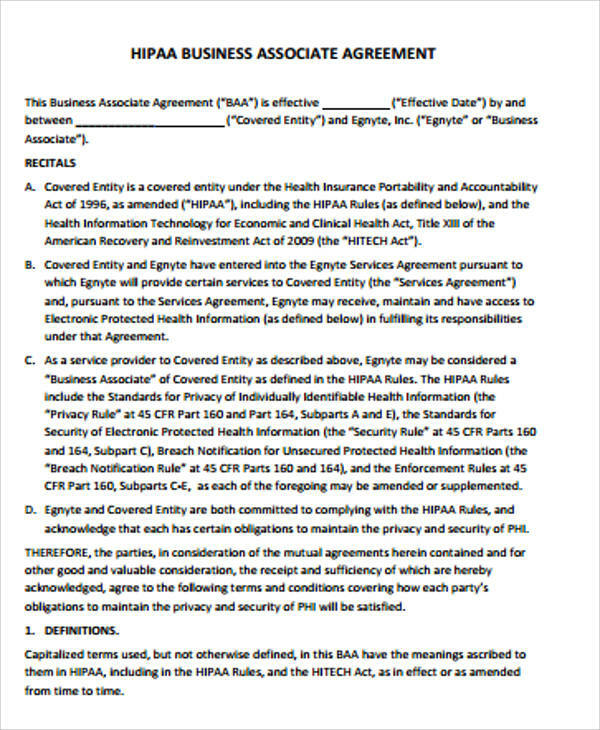 It is a contract between the individual who is covered by HIPAA and an HIPAA business associate. 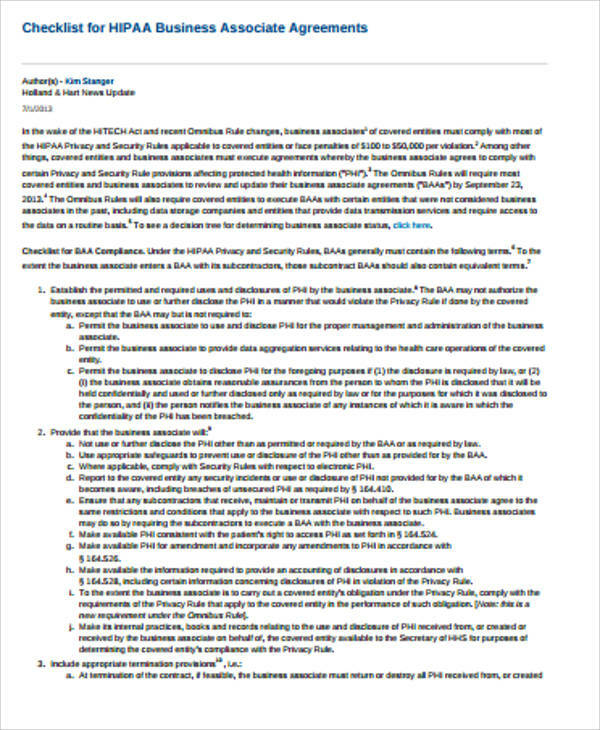 Here are Sample Agreements that you can download or use as reference for your business associate agreement needs. What Is the Purpose of the HIPAA Privacy Rule? All health-care practitioners must maintain strict confidentiality of any hospital records that they handle, most especially their patients’ records. The same is true with other health-related organizations, and they are stipulated in the HIPAA Privacy Rule. The purpose of standards of security is to protect the confidentiality, integrity, and availability of every covered entity’s health information. 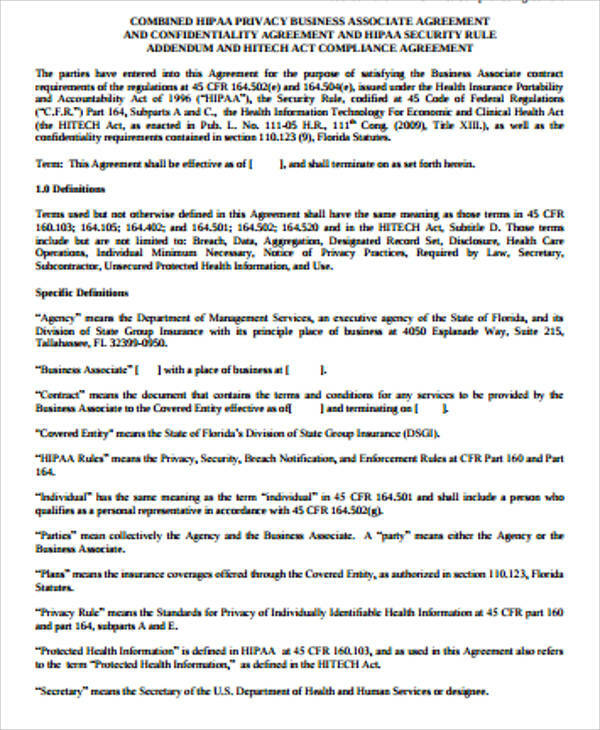 It controls or maintains the use of Protected Health Information or PHI by the covered entities. It protects an individual’s health information and at the same time helps the health-care practitioners to appropriately access the information. Failure to pay your taxes on time or before the due date may lead to certain penalties. Not keeping up with your mortgage payments may also get your property in trouble. The same is true with the failure to comply with HPIAA. The US Civil Rights and US Department of Justice will enforce civil and criminal penalties for any compliance failure. 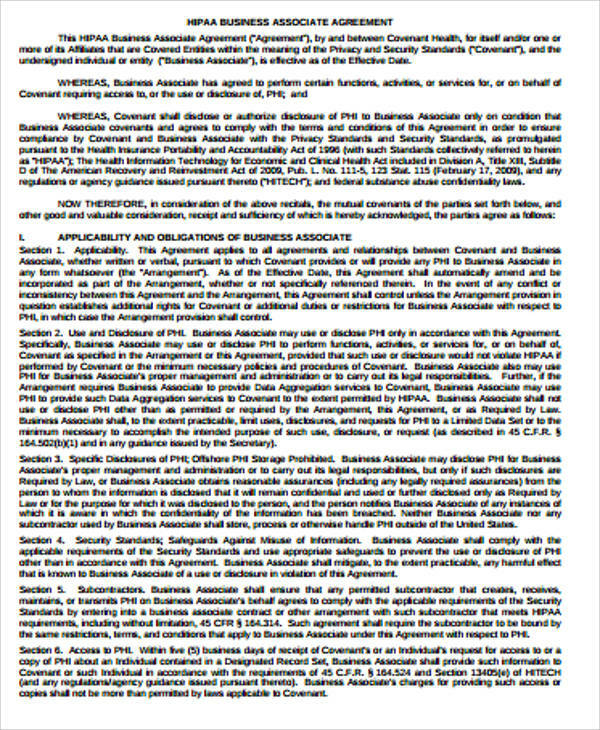 You may also check Business Associate Agreements and Business Partnership Agreements. Who Needs to Comply with the HIPAA Regulations? 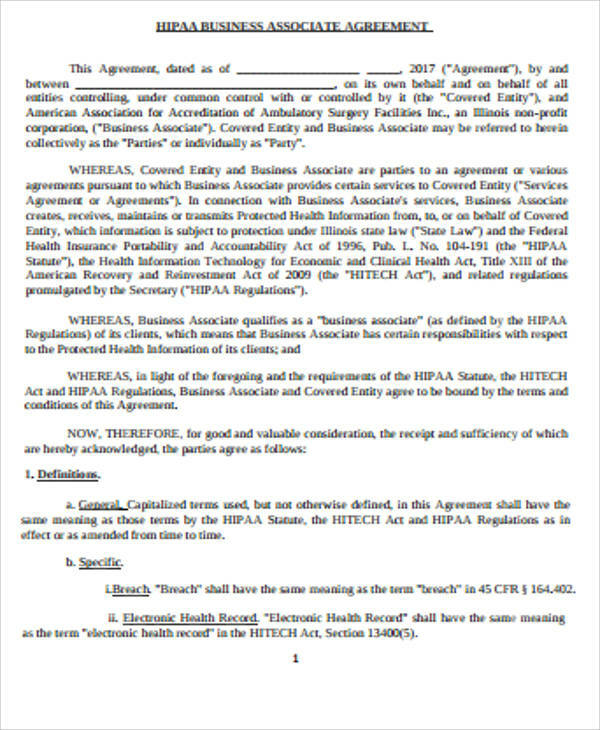 The regulations provided by HIPAA is applicable to health plans, health-care clearinghouses, and health-care providers who transmit information in electronic form. Allows employees to continue their health insurance coverage from one employer to another. Reduces the risks of health-care fraud. Ensures that all health-related information about the covered entity is protected and treated with utmost confidentiality. Provides standards for the transmission of health-related information through electronic means. Aims to reduce costs by making electronic transactions available. Because certain penalties apply for compliance failure, the safety of the individual members is prioritized. A business associate agreement is different compared to a Business Purchase Agreement. 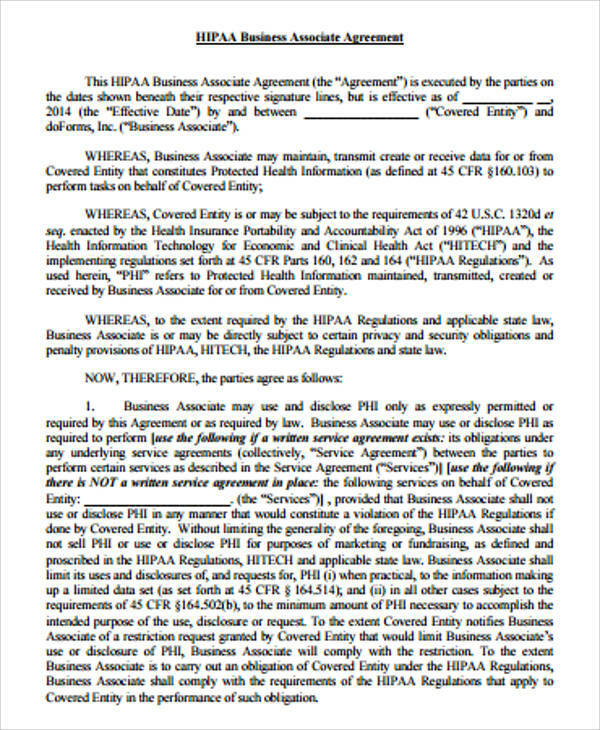 A business associate agreement, as mentioned above, is a contract between the covered entity or individual and a business associate. On the other hand, a business purchase agreement is a legal contract between the buyer and the seller, and is used in almost all kinds of businesses. It is about the buyer’s obligation to buy and a seller’s obligation to sell their products and services. Though these samples are used on different situations, they still provide important and precise information to avoid transaction errors and compliance failures. 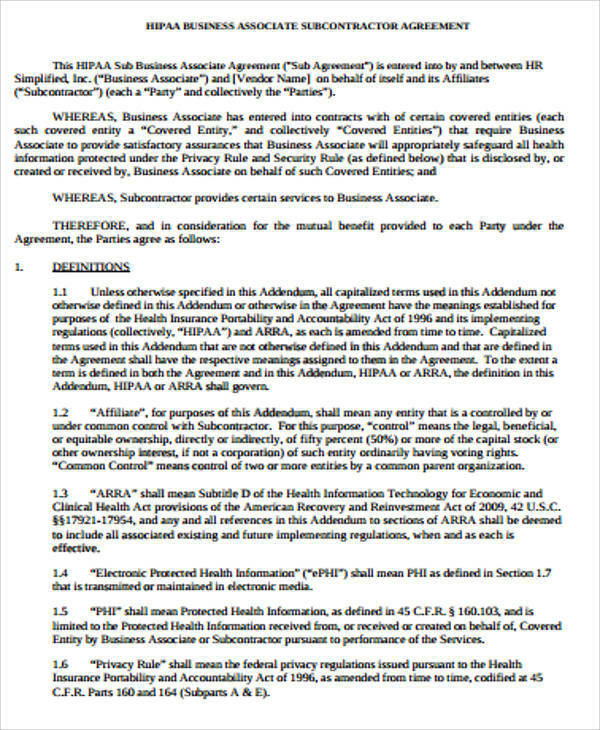 If you think you already know about HIPAA business associate agreements, then you might want to download any of these samples for reference or for future use.